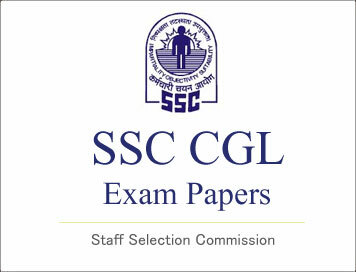 SSC CGL (Tier - 1) Online Exam Paper - 2016 "held on 10 September 2016"
I hope you know that, once you have signed the contract, you will not be able to _______ . Your opening paragraph should __________ the reader's attention. When I visited him last evening we talked the matter ________ . Chief of a group of workmen. Bitter quarrel between two families existing for a long period. Can you be able to please tone down your excitement? 1) Can you please be able to tone down your excitement? 2) Are you able to please tone down your excitement? 3) Can you please tone down your excitement? Correct Answer: Can you please tone down your excitement? The cities are bursting on the seams with people. Let his failure be a lesson to you all. A foolish person is some one who is easily taken-in and tricked by others. Modern civilisation is completely dependent on energy, which has therefore to be abundant and also economical. About 85% of the world's energy is supplied by oil, coal and natural gas while nuclear, hydro, wind and solar power and biomass supply the rest. Coal, nuclear and hydro are used primarily to generate electricity while natural gas is widely used for heating. Biomass is used both for heating and cooking. The wind and solar power is the future's hope as they are sustainable energy sources. Oil powers almost all machines that move and that makes oil uniquely versatile. Oil powered airplanes carry 500 people across the widest oceans at nearly the speed of sound. Oil powered machines produce and transport food. Oil powered machines are ubiquitous. Clearly, we live in the age of oil but it is drawing to a close. According to data available if oil production remains constant until it's gone, there is enough to last 42 years. Oil wells will produce less as they become depleted, which will make it impossible to keep production constant. Similarly natural gas and coal will last another 61 years and 133 years respectively. Naturally, as they become scarce, they become expensive, leading to a worldwide energy crisis. If we are to survive on this planet, we have to make a transition to sustainable energy sources. The transition may be willy-nilly or planned - the choice is ours. The dawning era of limited and expensive energy will be very difficult for everyone on earth but will be even more difficult if it is not anticipated. It is of utmost importance that the public and policymakers understand the global energy crisis and act in tandem to ensure that the species 'homo sapiens' does not become extinct.